"Spoiler Alert" redirects here. For the episode of How I Met Your Mother, see Spoiler Alert (How I Met Your Mother). A spoiler is an element of a disseminated summary or description of any piece of fiction that reveals any plot elements which threaten to give away important details. Typically, the details of the conclusion of the plot, including the climax and ending, are especially regarded as spoiler material. It can also be used to refer to any piece of information regarding any part of a given media that a potential consumer was not intended to know beforehand. Because enjoyment of fiction depends a great deal upon the suspense of revealing plot details through standard narrative progression, the prior revelation of how things will turn out can "spoil" the enjoyment that some consumers of the narrative would otherwise have experienced. Spoilers can be found in message boards, articles, reviews, commercials, and movie trailers. Sometimes, these warnings are omitted, accidentally or deliberately (see below), and some unwitting readers have had literature, films, television programmes and other works that they were looking forward to experiencing "spoiled". There is a common demand, especially among internet users, to have protection against accidentally seeing material considered to include "spoiler" information, even in the internet version of settings where such material has conventionally and historically appeared, such as discussion groups or literary reviews. As a result of this level of objection to spoilers, trolls may post them purely for their own pleasure, finding amusement in believing they are completely ruining a narrative experience for others. On reputable websites, these can be reported to moderators and such posts taken down, the posters blacklisted, but only after the fact. Most such websites provide a means of tagging certain threads as containing spoilers for those who wish to discuss a fictional work in depth, including the outcomes of events and the handling of the narrative resolution. Some[who?] have felt compelled to avoid participating on public websites altogether, set up "closed" websites to exclude those who are sensitive about spoilers, or decided they had to unilaterally blog at the expense of public exchange. On Usenet, the common method for obscuring spoiler information is to precede it with many blank lines known as 'spoiler space' – traditionally enough to push the information in question on to the next screen of a 25-line terminal. A simple cipher called ROT13 is also used in newsgroups to obscure spoilers, but is rarely used for this purpose elsewhere. Some producers actively seed bogus information in order to misdirect fans. The director of the film Terminator Salvation orchestrated a "disinformation campaign" where false spoilers were distributed about the film, to mask any true rumors about its plot. Wikipedia discloses spoilers in its articles without giving advance warning, although it previously did prior to 2006. Matthew Prichard, the grandson of Agatha Christie, criticized Wikipedia for giving away spoilers in the play "The Mousetrap". Andrew Jarecki, the producer of Catfish, a documentary, argued that Wikipedia should have spoiler alerts. The plot of Catfish had been posted on Wikipedia before its theatrical release because the film had been shown at the 2010 Sundance Film Festival. Jay Walsh, a Wikimedia Foundation spokesperson, said that Wikipedia is intended to be an exhaustive knowledge source, so it would have spoilers. Some internet forums and reference sites, such as TV Tropes and the IMDb FAQ section, have optional spoiler tags covering major plot details. The information underneath may be revealed by highlighting the text or, in the case of IMDb, rolling over the spoiler tag. In 2011, Nicholas Christenfeld and Jonathan Leavitt of UC San Diego did a psychological experiment testing whether spoilers diminish enjoyment of fiction. They gave subjects short stories with twist endings to read, giving some of the subjects information about the twist in advance. For nearly every story, subjects who had the story "spoiled" enjoyed the story more than the subjects who didn't know the ending in advance. There are some applications that prevent users from reading spoilers, such as TVShow Time's Google Chrome extension, which, once set up, blocks posts on social media about episodes that the user has not seen. The characters in movies do not always do what we would do. Sometimes they make choices that offend us. That is their right. It is our right to disagree with them. It is not our right, however, to destroy for others the experience of being as surprised by those choices as we were. A few years ago, I began to notice "spoiler warnings" on Web-based movie reviews -- a shorthand way of informing the reader that a key plot point was about to be revealed. Having heard from more than a few readers accusing me of telling too much of the story, I began using such warnings in my reviews. Ebert used two spoiler warnings in the article, saying "If you have not yet seen Million Dollar Baby and know nothing about the plot, read no further" and later said, "Now yet another spoiler warning, because I am going to become more explicit." Ebert discussed six films in the article and mentioned how many critics handled The Crying Game and also noted a detail about the film The Year of Living Dangerously. Ebert also mentioned two films alongside Million Dollar Baby. 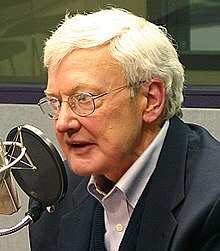 Ebert additionally criticized two commentators, Rush Limbaugh and Michael Medved (the latter of whom had "for a long time been a political commentator, not a movie critic"), for deliberately revealing the ending of the movie due to a moral disagreement with the lead character's life decision. "[S]hould no movie be allowed to consider [the moral issue]?" Ebert asked. "The separation of church and state in America was wisely designed to prevent religions from dictating the personal choices of those who do not share the same beliefs." In an interview about his Dark Tower series (appearing in issue #4 of the 2007 Marvel Comic adaptation The Gunslinger Born), Stephen King was asked if there are spoilers in the first few novels that would ruin someone's experience of the comic. "There are no spoilers! ", King replied, "You might as well say 'I'm never gonna watch Wizard of Oz again because I know how it comes out'". The executive producer of Doctor Who, Steven Moffat, expressed disappointment with fans who revealed spoilers after a leaked copy of "The Impossible Astronaut" was made available online before the episode's first television broadcast. In April 2015, the Under the Gun Theater created Swarm of Spoilers, a parody show based on George R.R. Martin's Game of Thrones series. The comedic play recapped the previous four seasons of the HBO television show. Kevin Mullaney, who directed Swarm of Spoilers, stated: "I'm somebody who's very sensitive about spoilers, so I wanted to make sure it was very clear from the title," though he went on to say, "There's actually this theory about spoilers that we think that they hurt the enjoyment of shows, and I definitely feel that way sometimes, but I think there's been studies that show the other side: that when we know the ending of a story that we haven't read before, it actually enhances the story, so I don't know if it would actually hurt anyone to come see it [Swarm of Spoilers]." The final production included 45 of the series' characters, and was played by an 18-person ensemble. ^ Tom Jicha (2009-01-23). "How soon is too soon for spoilers?". South Florida Sun-Sentinel. Archived from the original on 2016-02-03. Retrieved 2016-01-28. ^ Hugh Hart (2009-01-21). "Spoiler Wars Heat Up as Lost Returns". Wired. Retrieved 2016-01-28. ^ Cohen, Noam. "Spoiler Alert: Whodunit? Wikipedia Will Tell You." The New York Times. September 17, 2010. Retrieved on August 10, 2011. ^ Lehrer, Jonah. "Spoilers Don't Spoil Anything." Wired (magazine). August 10, 2011. Retrieved on October 22, 2014. ^ Table of Contents (April 1971). "National Lampoon Issue #14". National Lampoon. Archived from the original on 2016-02-07. Retrieved 2016-01-28. ^ a b c Roger Ebert (2005-01-29). "Critics have no right to play spoiler". Chicago Sun-Times. Retrieved 2016-01-28. Spoilers: The Official Vulture Statutes of Limitations - New York Magazine.